Why am I waiting? I love sports-themed romance. And I've read some of this authors other books. This one sounds like it's gonna be a good one so I can't wait. Under the Lights sounds like a book I would enjoy. I was kinda ruined for the hidden celeb. books thanks to Cars. Once you have seen the movie a 100 times you will be too. Ohhh Under The Lights sounds sooo good! 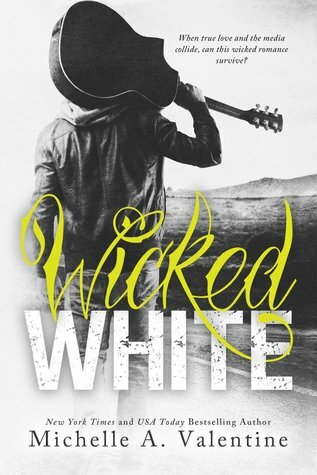 And that cover for Wicked White is awesome. Great picks! Great Picks Ladies!!! !I love sports themed romance and rockstars!!! Oooh.... both of these sound awesome! Sports and guitars... I want! !